What's on your mind ahead of the visit, and what will be the message Mr. Obama hears Wednesday during his brief stop in Bristol Bay? The local Democrat Party caucus hosted a Sunday gathering to make signs ahead of President Obama's Wednesday visit. 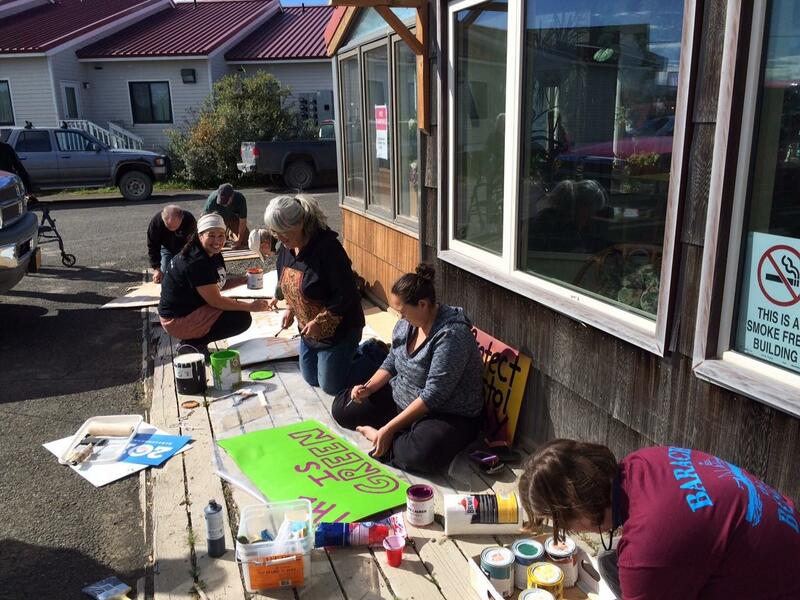 A few signs were posted just outside of the Dillingham Airport Monday. Last week KDLG spoke with many of you to see what's on your mind ahead of Wednesday's visit. Some told us you were excited and proud to have the President in Dillingham, while quite a few have grumbled about the hassle of the trip during the fall hunting season. A few have a laundry list of issues they want the President to do something about, and others say they just want the chance to shake hands with Mr. Obama. The White House has said the purpose of the trip around Alaska is to call attention to climate change, and it appears likely the President will deliver remarks from Kanakanak Beach, which has been eroding for decades. What do local leaders hope he'll hear about or speak to during his three hours on the ground: Pebble, oil and gas in Bristol Bay, the fishery, climate change, economic security, Native issues? 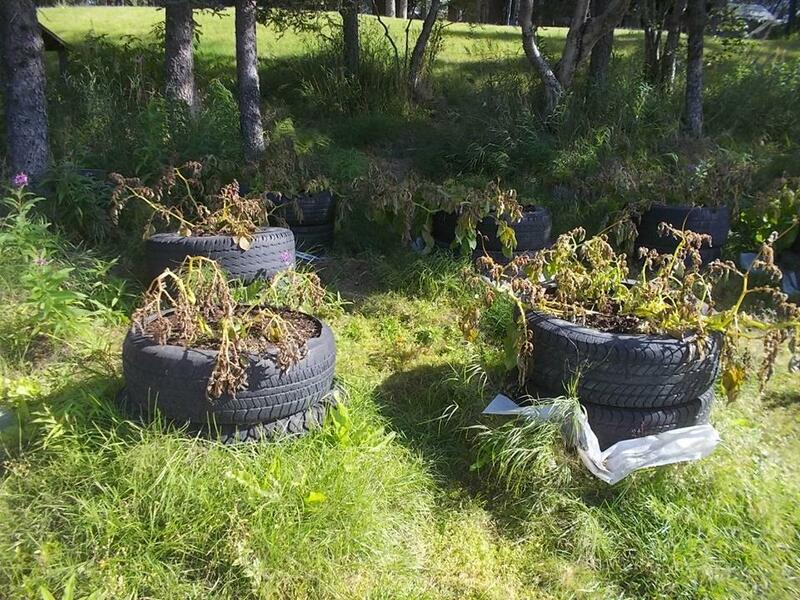 Below are three pieces from the August 28 Bristol Bay and Beyond. KDLG's Hannah Colton headed around town last week to see what some of you have to say. Listen here. What are some of the groups who've led the charge to oppose Pebble thinking about the message and the visit? KDLG's Dave Bendinger spoke with United Tribes of Bristol Bay's Alannah Hurley Friday morning. Others hope to share a different perspective with the President about federal intervention in the Bristol Bay watershed. Among them Lisa Reimers of the Iliamna Development Corporation, which wants to see Pebble's mine plan allowed to go through the NEPA permitting process. Reimers spoke with KDLG's Dave Bendinger Friday morning. Listen here. 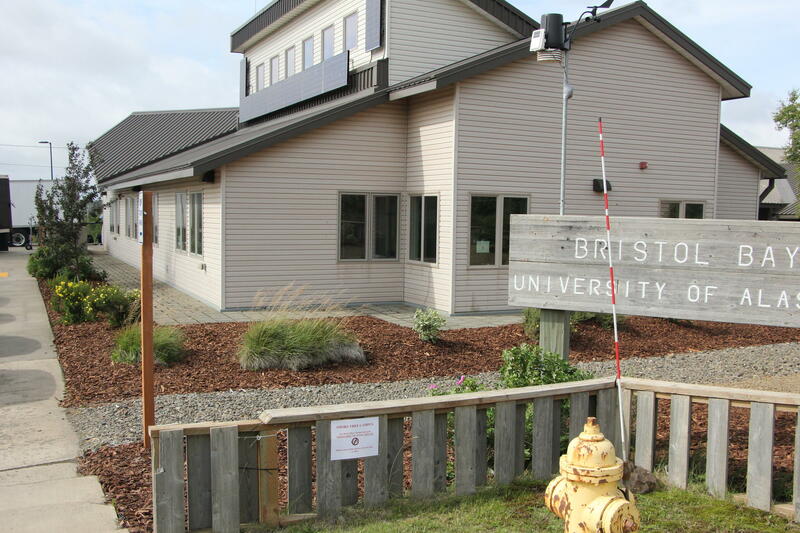 Rolling out the red carpet: the UAF's campus in Dillingham spread a massive amount of mulch around the facility ahead of the President's visit to town. 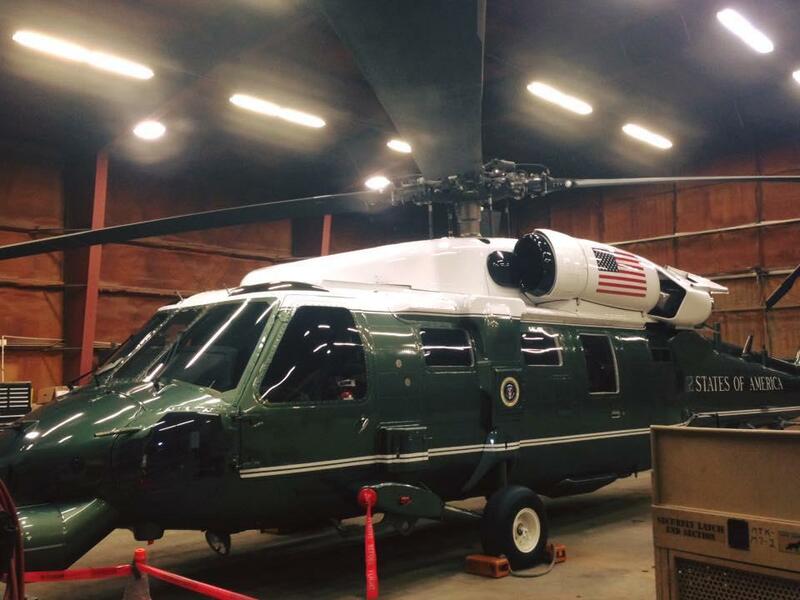 Marine One, looking snazzy in a hangar at the Dillingham Airport this week. Some residents reported seeing Marine One fly along the Wood River and Mission Bay of Lake Aleknagik. Perhaps scouting a spot for the Commander-in-Chief to slay a few silvers while he's in town? Temperatures dropped surprisingly low Monday night. IRONIC, says one local gardener who posted this photo on Facebook Tuesday, writing: "We have an international Global Warming Confernce in Anchorage. The US president comes to the state AND our town. Why then do we have some of the earliest hard frosts I can remember for many years? Ironic I think." No bus!?? While the Harbor Master says the "mystery bus" that has greeted so many thousands of visitors to Dillingham from its prominent and unsightly spot atop a container along the harbor was moved (hidden?) for regular cleaning, it seems Mr. Obama will not see all of Dillingham's truest colors Wednesday. 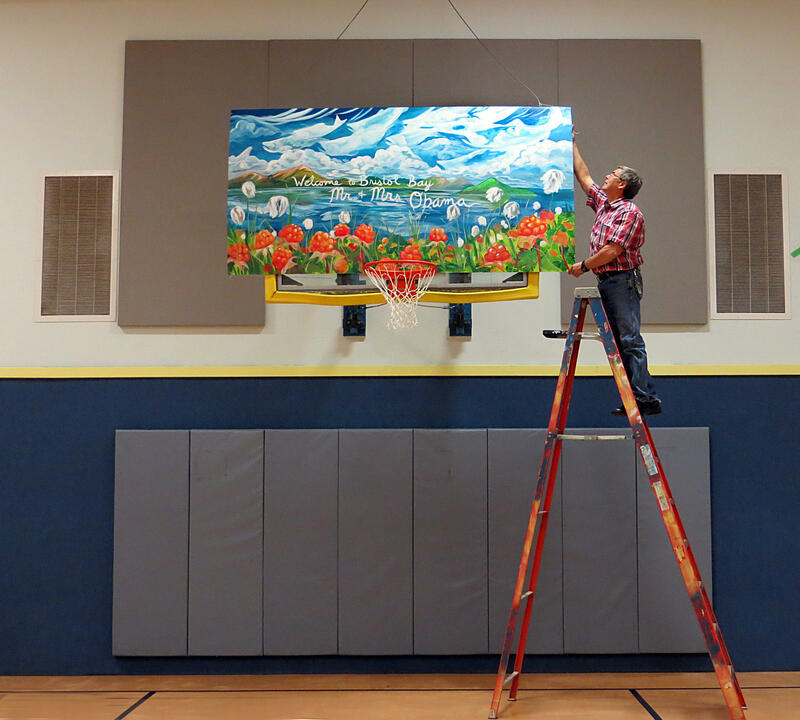 On Tuesday, the Dillingham Middle/High School was readying for a unique visit Wednesday. Students are going about their normal second day of school business as press, secret service, and others trickle in and out of the building.